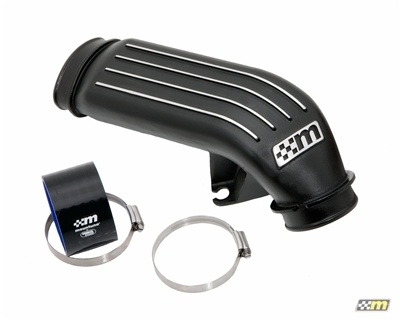 Comprehensive evaluation of the OE Focus ST intake system revealed the primary restriction as the OE plastic crossover pipe as well as the OE air filter. mountune engineers have designed a revised replacement crossover pipe with smooth air flow characteristics and no internal obstructions to improve intake air flow directly to the turbocharger. When coupled with the uniquely designed mountune air filter with dual inlet, the mountune High Performance Induction kit will provide increased air flow, improved engine response, and power. As there is no performance benefit and to help maintain the original vehicle’s NVH quality, we have elected to retain the OE coupling hoses and connectors when possible. Excellent quality items. I had no problems installing them and noticed an improvement straight away. Wow what a difference! Not only does my car drive far smoother than before but I also notice the instant application of boost now when driven hard. The Focus ST doesn't have much turbo lag to begin with but now it's almost non existent. I don't plan on any tunes and to me this car is great for what I love when it comes to driving the Canyon roads like Ortega Highway. The part aesthetically looks great in the engine bay and is well worth the money. Thanks for engineering such a great looking and great functioning piece. To anyone who may be on the fence like I was just buy it already. Quality is bar-none and therefore looks phenomenal. Nullifies the famous OEM intake "kink", and is much cooler to the touch after a few hard miles. Would buy again if I had to, but I feel this one is not going to go bad..